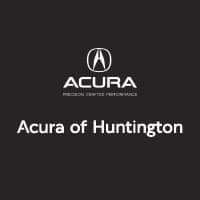 As your Acura dealership near Long Island, NY, we are here to offer tips and information about shopping for a new car or taking care of the one you already drive. If you’re a new driver or a novice when it comes to car care, one of the most important elements of vehicle maintenance is fluid checks. Car maintenance can be highly complex, which is why we always recommend bringing your Acura RDX or Acura TLX to our Acura service center serving Roslyn. Still, it’s important to know about the fluids in your vehicle and how to identify them if anything happens to leak. Motor Oil: This amber colored fluid plays several roles in your engine. Not only does it keep the various engine components properly lubricated, but it also helps maintain a moderate temperature to prevent overheating and absorbs harmful materials. Radiator Fluid: Much like oil, radiator fluid’s main purpose is to keep the powertrain cool. This is also commonly known as coolant. Transmission Fluid: To ensure your gears are always able to shift properly, an adequate level of transmission fluid is essential. Warning signs include trouble shifting, gear slippage, and delayed engagement. Brake Fluid: Brake fluid is what ensures your stopping power while driving. It provides the necessary amount of lubricant within the brake system. Low brake fluid is represented via needing to press the pedal all the way to the floor or pumping the pedal to come to a complete halt. Come by our Acura service center any time for routine fluid exchanges, tire rotations, and any other maintenance your vehicle may need. We look forward to working with you soon!